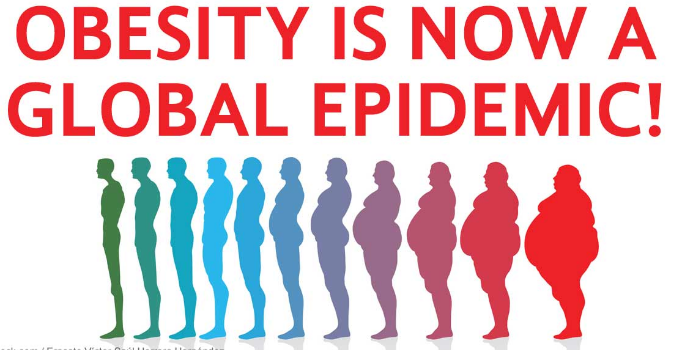 Obesity is NOT a Disease! It’s a Choice. When my children were little, they noticed that many overweight shoppers in the grocery store had a lot of processed or junk food in their carts. As I have always shopped for groceries at Publix 3 to 5 times a week for my business, my children are well educated about the correlation between health and nutrition. They used to make fun of the milk commercials on TV. They also had heard all of my info on nutrition over the years, even when they didn’t want to hear it! We have all heard someone speak of having a metabolic disorder, low metabolism, or hormone issues that have caused their obesity. The truth of the matter that a very tiny percentage of people may have a health issue that causes a weight issue. And certainly those issues may cause a tendency to gain weight. But if you know that fact it is not that hard to keep from becoming truly obese! You gain weight from eating too much food. NOT true- the average American takes in about 1400 calories a day. That puts you in starvation mode, you cannot meet your nutrient needs…therefore the body holds on to everything you intake. NOT true, as most people don’t take in enough calories. They are already malnourished. The bottom line is in order to lose weight you NEED TO MEET YOUR NUTRIENT NEEDS DAILY! It is physically impossible to do that on less that 1700 to 1800 calories a day. Factor in the junk or processed food you take in each day, the empty calories…and you further limit nutrition. So eat 3 full hot meals a day. Think of eating how your great grandmother ate. Real food, cooked at home, with mostly organic fruits and vegetables. Eat plenty of salad. Eat a moderate amount of health y fat, a small amounts (about 4 ounces) of protein at each meal. Avoid grains and dairy. You will feel WAY better, lose about 5 pounds a week and heal from inflammation. You are better off sitting on the couch eating a perfect diet, than eating a standard American Diet and trying to excessive to get healthier.